I was sitting down in front of my computer the other night, still developing the characters for this story that has been in the works for the last couple months or so. The problem was, I felt the story lacked any sort of orginality. Not from the plot, but from the characters. What every great story needs is strong likable character, and my leading man just wasn't cutting it for me. We have had so many pieces of science fiction and fantasy that revovle around young boys growing up and becoming a man, and I've found through alot of my manga reading and anime viewing that, well, very rarely do you see a female character in the main role of a sci-fi story unless she's some kind of tough samurai chick or something. Then... it hit me! 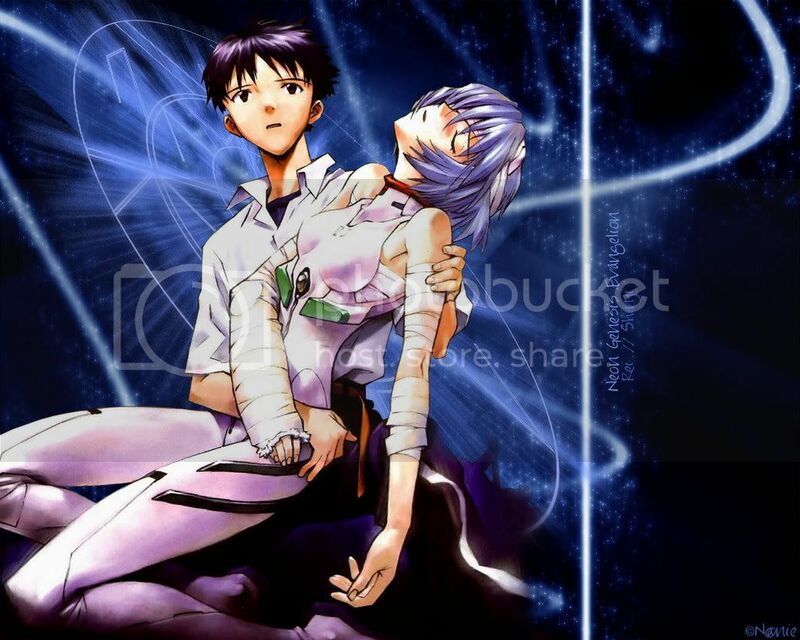 Evangelion, my current anime obsession. I've only seen eight episodes, but they were all pretty intense. That's what I need to do, just switch the genders! It'll be awesome! Instead of having it be the guy who's finding his way in the world through these extraordinary events, you'll have your average ordinary girl becoming a woman. All of my favorite charcters in the anime I watch are usually female anyways, so why not make the leading character a girl? It's pretty genius, if I may say so myself (and again, I sound like I've discovered something new, lol). Plus, it would draw in a completely different perspective to a story that needed some real life in the first place. xDD Okay, I need to go watch Evangelion now! Will update again soon. Except I know what you really mean. Can't wait to read it. Or a snippet of it. Or something.